When the temperatures start rising in Europe and everybody is getting ready for summer, Argentina prepares itself for winter season. For those of you brave enough to journey the long way to Argentina you will be rewarded with breathtaking descends in the Andes. Especially for back-country skiing the Gaucho Country is heaven on earth because here you can still find untouched slopes. Many back-country skiing movies were filmed here, for example „The Art of Flight“ which premiered in cinemas in 2011. The unique scenery of the Andes is overwhelming. The peaks of the Alps are nothing compared to the mountains tops of the Andes. The highest mountain Aconcagua at the border between Argentina and Chile is 6962 meters (22841 ft) high! 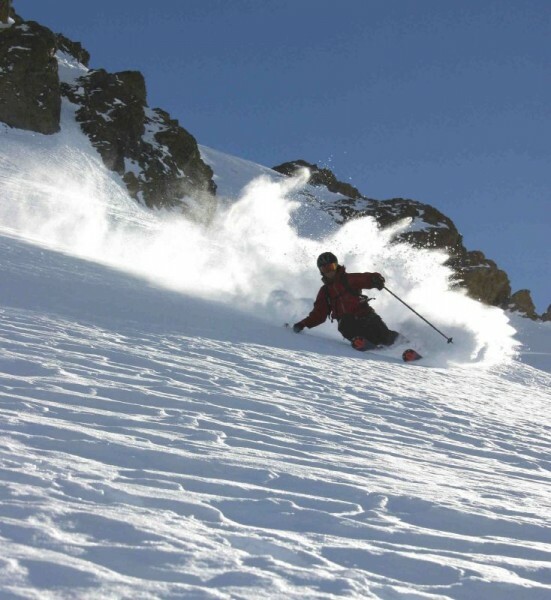 The largest ski area is Catedral Alta Patagonia with more than 120 piste kilometers (74.5 mi). It is also the most modern ski resort so you can enjoy skiing with many new amenities and won't have to renounce any comfort. The ski resort is in the middle of the Nahuel Huapi National Park and offers amazing views onto chile. A little smaller but all the more famous is the skiing area Las Leñas. Up to 3430 meters (11253 ft) difference in altitude and 50 kilometers (31 mi) of slope for beginners, intermediate and experts. Most of the winter sport enthusiast come here for the back-country skiing opportunities.